Gas Wizard™ Inert Gas Savers are designed to reduce gas consumption by restricting the gas surge that occurs at arc initiation, saving 35% or more on shielding gas! The new Adjustable Gas Saver is ideal for virtually all welding applications and allows fine tuning of the gas flow, which is an added benefit for facilities utilizing long bulk gas delivery systems with pressure drops. Gas Wizard™ Inert Gas Savers are designed to reduce gas consumption by restricting the gas surge that occurs at arc initiation. 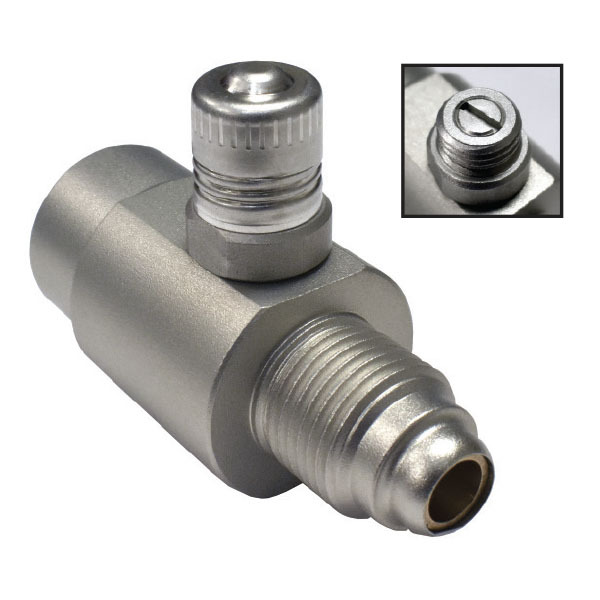 The new Adjustable Gas Saver is ideal for virtually all welding applications and allows fine tuning of the gas flow, which is an added benefit for facilities utilizing long bulk gas delivery systems with pressure drops. 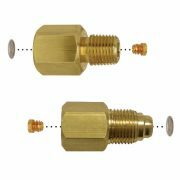 Reduces gas consumption in MIG or TIG applications – save 35% or more on shielding gas!